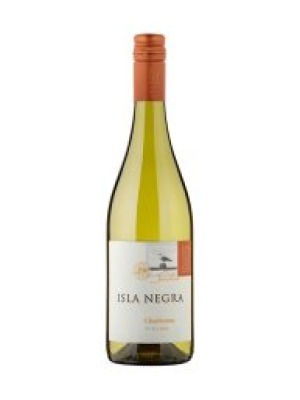 Isla Negra Reserva Chardonnay is a popular Chilean White Wine available from Tesco Groceries in 75cl to buy online. Visit Tesco Groceries for the best price for 75cl of Isla Negra Reserva Chardonnay or compare prices on our other Chilean White Wine products. An appealing Chardonnay with aromas of alluring fruits: notes of grapefruit, pear and pineapple integrate harmonically with innuendos of vanilla. The revitalizing feel is young, supple and entire and slightly sweet. Exuberant and complex, this wine is a good companion for white meats, along with pasta and seafood. Where to buy Isla Negra Reserva Chardonnay ? Isla Negra Reserva Chardonnay Supermarkets & Stockists. You can buy Isla Negra Reserva Chardonnay online in most retailers and find it in the Chilean White Wine aisle in supermarkets but we found the best deals online for Isla Negra Reserva Chardonnay in Tesco Groceries, Tesco Wine, DrinkSupermarket.com, and others. Compare the current price of Isla Negra Reserva Chardonnay in 75cl size in the table of offers below. Simply click on the button to order Isla Negra Reserva Chardonnay online now.